Rest in Peace Andy Williams. On Tuesday evening at the age of 84, one of my all-time favorite singers passed away. He had a year-long battle with cancer. Andy Williams, you will be greatly missed!!! When I was a little girl, I used to love listening to his records. Yes, real vinyl records. I don’t remember exactly the age that I was introduced to his talent, but for as long as I can remember, I have liked him very much. One day many moons ago, my mother and I (and maybe some other family – I don’t quite remember) went to a store. We saw a display of an Andy Williams album. I ran up to it and wanted to hug the album cover and I said, very loudly, Andy Wullwums. He was my FAVORITE!! His smooth voice is as great now as it was back then. I still love to hear him sing. It is sad to know that his time here on earth is finished. But I am glad that he is no longer suffering and in pain from his cancer. A few minutes before writing this posting, I listened to his version of “Moon River” from his television show. It was an amazing rendition and gave me goosebumps. Still as great a singer as I remember. My huckleberry friend, moon river, and me. Can’t you just hear him singing? Great lyrics and I must say, Andy Williams recorded my favorite version!! I love that he introduced the world to the Osmond family and Donny and Marie! They were also favorites of mine growing up. And, he had many other talented people on his show over the years — including Dinah Shore, Perry Como and the Bee Gees. Did you know that he had 27 top 40 singles and a career that spanned 50 years? I found that information in a Boston Globe article about him. Isn’t that amazing?! What a talent. Christmas to me doesn’t begin until I heard his version of “It’s the Most Wonderful Time of the Year.” It is such a great song and always makes me happy! No matter what mood I am in, if I hear his version of the song, I sing along at the top of my lungs and smile. The happiness lasts for a while too!! That song will be bittersweet this year. To the family and friends of Andy Williams, you are in my thoughts and prayers. And, to you other fans, we lost a great talent but were honored to enjoy his music for all of those years. “You’ve got to have a dream, if you don’t have a dream, how you gonna make a dream come true?” — from the movie and play South Pacific. That is a very good question. How do we make dreams come true? First, you have to have them or have at least one. Do you have a dream or two or fifty? I hope that you do. And after you have a dream, you have to have the courage to make it come true! A quote I have heard is “a dream is a wish your heart makes.” Was that in the Wizard of Oz? I don’t remember. Anyway, it is so true. You then have to take steps in your life to make the dream a reality. That often takes a lot of hard work and sweat. But, results in some amazing gifts!! One of my dreams is to write a children’s book. I have several ideas but haven’t put in the time and effort to make it happen. I am a little bit nervous since it may not turn out the way I want it to. But, I also realize that I have to at least try or I will never know. Time to get moving!! Another dream is a long and amazing life for my son. I want him to be what he wants in life and make the best of it. I am at the beginning of this journey with him and know there is so much to learn and discover. For that I am excited!! One of the most compelling speeches ever given is now called the “I Have a Dream” speech. It was given many years ago by the Rev. Dr. Martin Luther King Jr. He was a phenomenal speaker and had so many amazing things that he dreamed of for himself, his family, and our country. He was such an eloquent speaker! There was so much emotion and heart in his speeches, and this one was truly inspired. Here is something to remember, our dreams don’t have to be big like that, but isn’t it great that there are people who have big dreams? I sure think so. In addition to amazing things that we want in our lives and important things to strive for, dreams are also what happens when we sleep. I remember after my son was born, I didn’t sleep well and only an hour or two at time. I know that all new parents can relate to this. I will never forget the day that I woke up remembering a dream I’d had. I was thrilled and amazed since I finally had gotten enough sleep to go into a dream state. What that day that was! There are many people who study and interpret dreams and what they mean. I suppose there is some truth to what they come up with, but I think a lot of it is our brain processing what we see and hear throughout our day. And, those things that might be troubling us or keeping us up at night. What do you think? Whether a dream is something that you are consciously thinking about and working to make happen, or if it’s a movie you watch while asleep, they are amazing and powerful. We can learn a lot from both kinds of dreams. Today is the first day of Autumn. This is my favorite season after summer! And, my favorite in my home state of Tennessee. 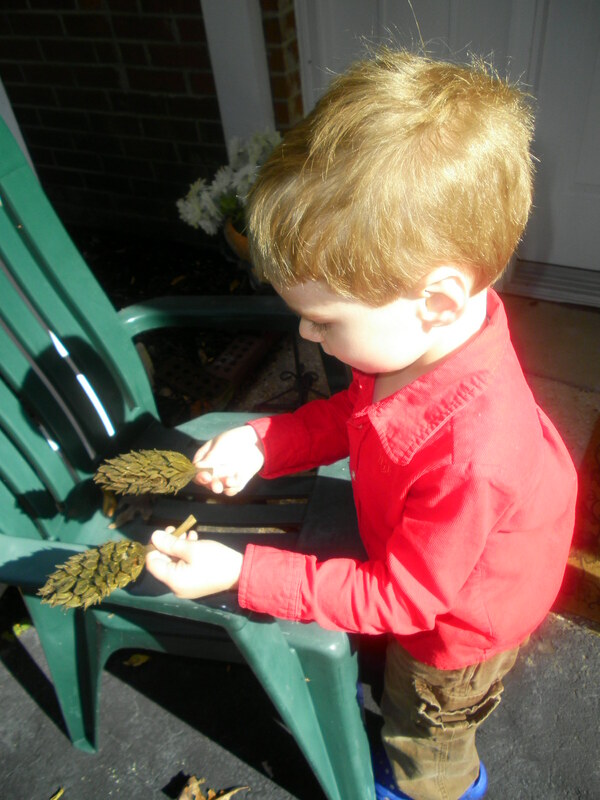 Pictured in the blog is Ian in his fall clothing investigating some treasures from a tree. This was taken last fall as we were outside exploring and enjoying the changes that nature brings each autumn. I love the change in color on the leaves — they turn from a brilliant greet to vibrant reds, yellows, and oranges. The new photo in the header is one from last fall in North Carolina. Fall or autumn is as pretty there as in Tennessee. Another thing I love about fall is football season, which is like a religion in East Tennessee. Friday nights at the high school games cheering on the team and watching the marching bands are a lot of fun!! As the season continues, the evenings get cooler so blankets and heavier jackets are needed. And in my hometown, the local pizza joint is packed with people wanting to eat and socialize before and after the games. Spending Saturdays tailgating and watching the University of Tennessee games is normal for many people. Bright orange and white is found everywhere – on flags in front of houses, on cars, and in clothing. Whether you watch at the stadium or on your couch at home, It’s Football Time in Tennessee!! Brisk mornings, warmer afternoons, and cool nights are also wonderful. I love the lack of humidity and the cooler weather. That is such a welcome contrast to the heat and humidity of the summer. It is nice to wear a jacket in the morning and evening, with something lighter to wear in the warm afternoons. The decorations in my neighborhood are always pretty in the fall — the leaves, hay, pumpkins, and other items are fun to see. And people are once again able to enjoy an evening stroll since the weather is pleasant enough. In my family, there is much to celebrate in the fall — many birthdays, including several nieces, several nephews, a cousin, my parents, and our son Ian. And, my wedding anniversary is in the fall as well. My family enjoys getting together for celebrations so there is a lot of time for us to have fun together. It is always a treat to have the first Pumpkin Spice Latte of the season. YUMMY! I love the flavors of nutmeg, pumpkin, and cinnamon. You can tell it’s fall by these tastes and smells. And, hot chocolate, hot cider, and popcorn for an evening snack are to be treasured as well. Wearing socks, long pants, and a jacket are a treat after sweating so much during the summer. It is nice too to change shoes to something that covers the entire foot. And figuring out a costume for Halloween is an adventure since Ian has so many ideas up until the big day. Buying the candy too is part of it and we always have a lot of people in our neighborhood. One year we even ran out of candy. I do love the fall and think I always will. I am so fortunate to live in a place that is absolutely gorgeous in the fall. Hope you enjoy this wonderful season!! I know that I will. As a funny show once said, Kids say the darnedest things. I know that to be true since my son continues to amaze me with what he says. I love my son, Ian. He is the one pictured in the new header. He was investigating the ocean at a young age with hat on and pacifier in his mouth! He is a lot of fun and full of wise and wonderful thoughts and comments. To the right is a picture I took of Ian, Kirk, and myself during a recent family outing. 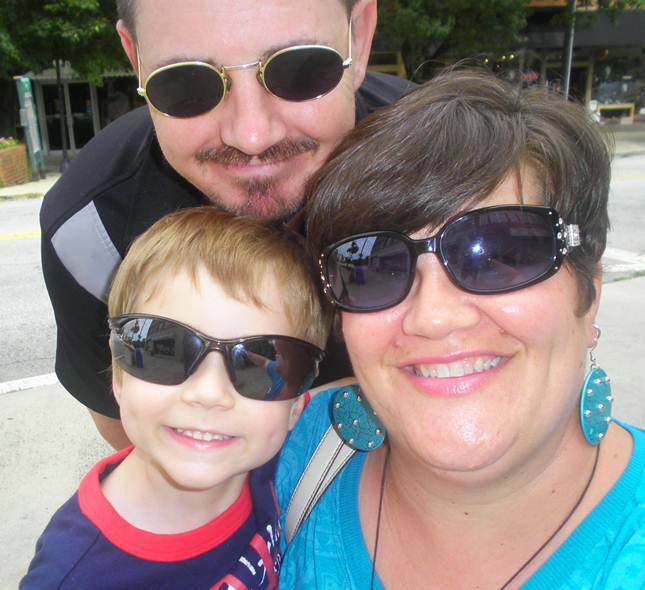 We were having fun and are all smiles in our shades, as you can see. A few days ago, I wrote about Willie and that I hoped that I could do the stories justice of this amazing character that I’d loved so much while I was growing up. A dear friend and my sister encouraged me in continuing to let Ian know about him. And, as I’d mentioned, I have told Ian a few of the stories. Reading this entry made me smile and tears of joy came to my eyes. Ian had been listening and made up his own take on Willie! How cool is that?!!! And, I love that he has an answer for Willie’s constant question of where rainbows come from. “Rainbows come from God, Mommy,” he told me. After all those years of hearing that question, in one quick and short sentence, my son has a fantastic answer. How did he get so smart? Aren’t kids amazing?! As you may know, today is the 10th anniversary of Talk Like a Pirate Day. Yes, it is a real day. We have been talking like pirates, arg, all morning. In the spring, we went to see “Peter Pan” at the local playhouse and Ian was fascinated seeing the story come to life. He even got to meet the cast members, but unfortunately not Captain Hook, who was his favorite. Ahoy mateys. Should be a fun day of talking like a pirate with a fun boy! Hope you have a great one too!! Thanks to all of my followers and those of you who like my blog! Your interest really means a lot to me!! I so appreciate the readership and comments from you as well! …I still wonder where rainbows come from. Thus ended each story about Willie the Elf that my grandfather used to tell. That phrase inspired the name of this blog and some of my writing. You see my grandpa was an amazing storyteller and Willie was my favorite character. Last night I had the pleasure of watching a video of several of his stories, with the one about Willie being the best (in my opinion). The time was 1988 when our family was celebrating his 80th birthday for a weekend. 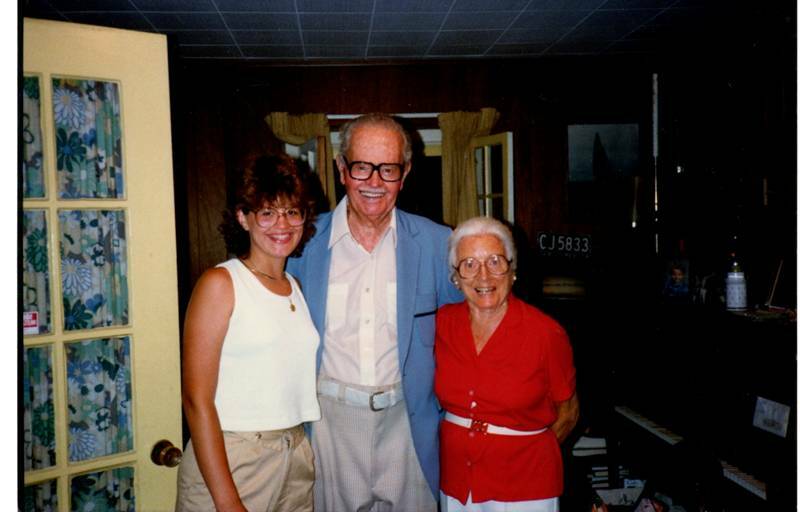 Here is a photo of me with him and his wife, my grandma, a few years before that. This is how I remember them looking. In looking through some videos, my mother happened upon this amazing treasure. It was like our own little time machine. We were taken back to another time and another place and it was amazing!! The story we watched was my absolute favorite! In the story, Willie travels to Knoxville, Tennessee, and finds the Sunsphere which was built for the World’s Fair in 1982. The building looks like it has a big, gold ball on the top. In the story, Willie is thrilled since he thinks he has found the pot of gold at the end of the rainbow. And as a result, he will finally get his answer of where rainbows come from. These characters were brought back to life to me as I listened to the story with my parents, husband, son, and father-in-law. I hope to watch this sometime with my sister and brother but am afraid we’ll all be crying too much. I was laughing and crying tears of joy and remembrance. I cannot describe the excitement of once again seeing my grandfather tell one of his stories. The voice was the same as I remember and he looked exactly as I remembered. And, I remembered every word of the story, even though I haven’t heard it in years. A few items were a bit different, but it was mostly the same. The rest of us, however, have changed quite a bit. We all looked like the 1980s –with the clothes and the hair. I saw my parents then at the age I am now. (Isn’t that amazing and profound in itself?) And, I heard laughs of family members that I have heard my entire life. Seeing my siblings, parents, grandparents, aunts, uncles, cousins, and friends was such a treat! Our own buried treasure, that’s for sure! Since this video was made, we have lost many dear people — such as my grandfather who passed away 8 years after this video was recorded — but we have also added so many special loved ones to the family through marriage and children. The circle of life has continued as it always does. My family liked and still likes to celebrate birthdays and be sure to have time together. Our times were filled with fun and laughter, stories, and hours of singing as my amazing aunt would play each song on the piano from memory. We were all very different people, yet loved coming together. I am honored to be a part of this amazing family. We have different faiths, jobs, political views, and walks of life, yet we did and still do love each other and are thrilled to see one another when we can get together. We have learned, for the most part, to agree to disagree. And, to me my life has been so much richer for these experiences. You can learn so much if you are willing to listen to someone who has a different view of life. Now, my siblings and many of my cousins have children so a new generation is growing up with the family values, stories and songs. I hope that this videotape can help make these stories relevant to them as well. Ian has been told about Willie and loves the stories. I try to tell them but it isn’t quite the same, well, not to me anyway, but he loves them as I used to and still do. He has asked me what Willie looks like. “I want to see a picture of Willie, Mommy,” he told me. What he doesn’t realize or completely understand is that Willie was a creation in my grandpa’s vivid imagination and he looks different to all of my family and everyone who hears the stories. How do I explain that to him? One time when I was a child, I drew a picture of what Willie looked like to me, so I can show him that. But, he may have another idea in mind. I changed the banner at the top of my blog in honor of Willie’s quest to find answers about something he was passionate about. In his own way, Grandpa was teaching us about following our bliss and our passion. I didn’t realize that when I was a child and young adult since I was too busy enjoying the fun of the story. But, I can never thank him and my grandma enough for that gift as well as the gifts of imagination, love of writing, education, family, and love. Because of these stories, I have always loved rainbows and still do. Last summer, a friend who lives across the street from my family’s beach house, took a picture of a rainbow with the beach house at the end of the rainbow. That too made me cry since that house is one my grandparents bought and our family has enjoyed. Grandpa and Grandma, you are loved and missed! And, thanks to this video, Grandpa, you and your stories will live on for Ian and his generation. What an amazing blessing! Thanks Mom for finding this treasure for us!! I remember exactly where I was 11 years ago today. I am sure that you do as well. This was a day that I never thought I would see. And, even as I watched it unfold, it was hard to imagine. I was at work when the events began to unfold. I remember being stunned when the second plane hit the tower. It was clearly not an accident and done purposely. Then we heard about the Pentagon and also those brave people who crashed an airplane to save it from more destruction. That day we learned about bravery, sacrifice, love of others and country, and how important it is to let our loved ones know that we truly do love them. And, we learned that not everyone likes our way of life in America. It was an end to an innocence in a way. The odd thing is that I don’t remember what I was doing on September 10 since it was a day like any other. What this tragedy made me realize is that days aren’t to be taken for granted. Each one is important and so full of possibility. And, since this happened, I have tried to make the most of each day and appreciate all that I am given. 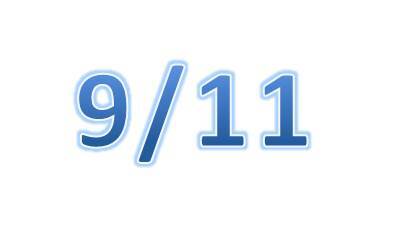 My thoughts and prayers are with the families who were directly impacted by the tragedy we know as 9/11. For all of those who lost loved ones in New York, Washington, D.C., and Pennsylvania, my heart goes out to you. I wasn’t directly affected, but all of us were in some way. I pray for our continued healing. May the Lord bless you on this day and each day. I hope you can remember your loved ones and thank the Lord for those you still have in your life. I will be doing just that! Conventions, Politics, and Voting … oh my. Over the last two weeks I have watched the two parties hold their conventions where they announced their nominee for President. Some of the items I have agreed with and some I have not, as I am sure others can relate. First the Republicans had a convention in Tampa and nominated Mitt Romney with Paul Ryan as the Vice Presidential nominee. Then the Democrats held their convention in Charlotte and nominated President Barack Obama for another term with Vice President Joe Biden. Both weeks were about saying how great each party was and how bad the other one is. They also explained the party’s platform and what you needed to know about each candidate. Both sides tried to put their best foot forward and present themselves as the answer to our issues. We as voters then have to decide which way to vote. During the first week, Senator Marco Rubio gave a good speech, the keynote address was given by Governor Chris Christie, and Clint Eastwood was odd but funny. It helped for Ann Romney to explain about her husband, and it was good to hear Mitt Romney’s vision for America. Then during the second week, Mayor Julian Castro gave a very moving keynote address, First Lady Michele Obama was very classy and spoke very well, former President Bill Clinton gave a phenomenal speech, and I enjoyed hearing from President Obama. For me it was important to hear from both sides of the aisle on what is planned for our country. I don’t agree with all on either side but that works for me. To some that may seem wishy-washy, but I am not an all-or-nothing person when it comes to politics. The fact that two such different sides can present their case and their views on television and argue their convictions and beliefs to the entire population is a real gift. 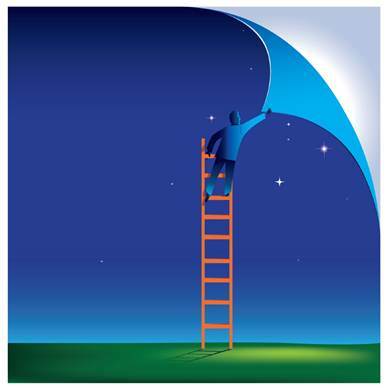 We then can make up our own minds on where we stand and who we feel can lead us forward. I am honored to live in a country where there is freedom of speech — which has been demonstrated over and over again in recent weeks. There are many places around the world where this isn’t possible and that is so sad. It truly is a freedom to believe in whatever manner you want to and speak what you feel led to say. We just have to remember that ours isn’t the only way to think and believe. I feel we should value other opinions and understand and respect someone else who may think and believe differently than we do. To me our chance to vote and cast our ballot, not only for the President but the leaders of Congress (in the House and Senate) and our state leaders, is a true honor and something that I have been doing for many years. And I don’t take it for granted. The thing I don’t like and have seen so much of this year is the insults, lies, mistruths, and hatefulness of one side against the other. What ever happened to agreeing to disagree and respect someone else’s point of view? Have we gone so far that we can only respect someone with a like mind as our own? I sure hope not. For all of our elected officials, I like to think that they will truly try to govern and lead the country while taking into consideration other points of view. I hope that isn’t being naive on my part. In the past few weeks, there has been a lot of talk of a Senator who said many of our leaders in Congress were going to do what they could to ensure that Obama wouldn’t serve another term. This was supposedly done by not being willing to work him on a variety of issues. I hope and pray that this isn’t what actually happened. The thought that someone who in good faith was elected to serve his country could just disagree to spite someone else really bothers me and concerns me. Do we really want someone in office if that is truly their agenda? I know I don’t. In addition, the notion that an idea is wrong and shouldn’t be considered just because someone from the other side has presented it is total nonsense to me. Why? Can we not even consider another point of view before we dismiss it out of hand? Whatever happened to a serious debate that at the end of the day could find a resolution or an opportunity for additional debate? This year to many the main issue seems to be the economy and jobs. Some have said that is the only issue. For me there are many issues to consider when electing someone, but I don’t believe it is my place to tell someone else how to think or vote. I think people have all kinds of reasons for voting a certain way. And, isn’t it a great thing that we can do that? I don’t have to agree with someone else or their reasons and they don’t have to agree with me. But, I think that I should respect the other person and not attack them or say they are stupid or wrong for how they believe. The notion that either candidate will bring the end of life as we know it is a little over the top to me. I have heard that from both sides and really don’t like it. I am much more comfortable with one candidate than the other but I don’t agree with that extremist mentality. That’s just my opinion. What about you? I have some friends and family who are conservative and others who are liberal. Some who are strong Republicans and others who are strong Democrats. I think it is interesting to hear from them on their beliefs and convictions. Sometimes I agree with them and other times I don’t and that’s okay. Are you going to vote this year? I hope that you will and consider the honor that it is to vote in our country. I know who I am voting for and why. How about you? Here’s to our amazing country!!! In the movie “Titanic,” the characters raised a glass in a toast and said, “To making it count.” That is such an important phrase to remember, and yet, I know that we don’t always make things count. This morning I found out a friend of mine in college died. She lived each day to the fullest and knew how to make it count!! Her name is Shelli and she fought a long and very hard battle with cancer. She went through treatment on and off for many years and was in constant pain. And yet, she was thankful for each day the Lord gave her. And she was one of the most positive people I have ever known. She also was constantly praying and had a very strong faith. I had lost touch with her in the years since we graduated from college. Then in 2010, I saw her at a reunion at our alma mater, Carson-Newman College in Jefferson City, Tennessee. We then stayed in touch over the years, mainly through Facebook. It was great to see the fun things she did with her husband Joe and their children. And, to also share in prayer support when needed. Shelli was a blessing to me and I know to her many friends and her family. She will be greatly missed. Dear Lord, I hope that I too can make each day count and truly live my faith as my friend Shelli did! Please welcome her to Heaven with your open arms!! AMEN.